As it turns 40 years of age this week, Iran’s Islamic Revolution is experiencing a fullblown mid-life crisis. Thanks largely to last year’s fresh round of US economic sanctions, Iran’s domestic economy went into steep decline during the last half of 2018: with the currency plunging in value, prices rising sharply and severe shortages of essential items becoming the new norm. All of the hopes held that Iran’s compliance with the anti-nuclear deal would usher in a wave of foreign investment, trade and prosperity have been dashed, mainly by the Trump administration’s decision to abruptly end US involvement in an agreement that the Americans had negotiated, and signed. Since then, the US has re-imposed harsh sanctions – not only on Iran, but on any countries like New Zealand or corporates that dare to trade with it. In the process, Washington has further undermined the liberal government of Hassan Rouhani and empowered the clerical and military hardliners, who said all along that the Americans could never be trusted to keep their side of any international bargain. At the 40th birthday celebrations in Wellington last night, the Iranian ambassador Jalaladdin Namini Mianji did refer in passing to the attempt by France, Germany and the United Kingdom to keep the nuclear deal alive – but this puny Instrument In Support of Trade Exchanges (INSTEX) is offering too little, and far too late. Ironically – given the current sabre-rattling in Washington about possible military action against Iran – there are signs that Iranian youth are becoming even more like their counterparts in the West. 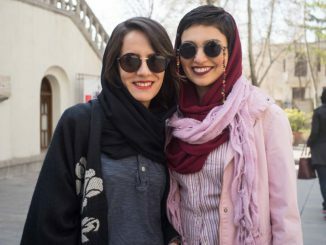 This week, the New York Times reported on the liberal lifestyles (rock music concerts, satellite dishes beaming in the Kardashians, young women riding bicycles etc) now evident in Teheran, especially amongst the country’s millennials. This is something of a mirage. Yes, the mullahs have grudgingly been turning a blind eye for some time now to the rise in Western influences among the young. Far more importantly though, that opening is merely a way of letting off necessary steam, given the dangerously widening gap that the general public now perceives between their own deteriorating situation, and the leadership of the Revolutionary Guards and clerical establishment – who remain very much insulated from the effect of the US sanctions. In fact, given the extent of the control that the Revolutionary Guards have over both the formal economy and the black economy, the US sanctions are – if anything – only making their smuggling routes even more profitable. In other words, the US sanctions are hurting the Iranian people, but not the mullahs, or the military. If anything, their power is being entrenched. In the process though, the moral legitimacy of the Revolution is being systematically undermined – and it is this inexorable trend that is casting such a shadow over the birthday celebrations this week. As mentioned, the E3 – Germany, France and the UK – have been trying since mid 2018 to devise an economic vehicle (called INSTEX) that’s able to drive around the US trade sanctions, and hopefully keep alive the nuclear deal with Iran. Faint hope. In fact, the contortions required by INSTEX shine a very useful light on the extent to which the US continues to control the major trade flows within the global economy. The immediate problem is that almost all global trade is denominated in US dollars, and the payments travel through the SWIFT international banking system that the US also controls. INSTEX tries to get around these barriers by setting up a register within Europe of companies that either import from, or export to, Iran. Iran would then need to create a mirror image of this register, within Iran – and it has yet to do so. What would happen if it did would be that a European firm exporting medicines to Iran would be linked to a European firm importing say, dates or pistachios from Iran. Iran would do a similar mix and match. The crucial thing is that the money would be paid between the firms operating within the EU borders, and would not have to travel across international boundaries. The money would be exchanged between the paired exporters/importers. The same would apply between the Iranian import/export partners. The goods would go back and forth between Europe and Iran and vice versa, but the money wouldn’t. Clearly this would be a cumbersome, and limited exchange system. In fact, because INSTEX is such a pale shadow of the foreign trade flows that the nuclear deal promised to deliver, it is likely that a liberal like Rouhani would only further undermine his credibility by championing INSTEX. The mullahs and Rouhani alike would be justified in complaining to Europe – is this INSTEX thing the best that you can offer? For fear of US retribution, most corporates in Europe or elsewhere would still be hesitant to sign onto the INSTEX register, in any case. There are no innocent bystanders in these ongoing US attempts to bring about regime change in Iran. As Ambassador Namini pointed out in his speech at last night’s function, the trade between New Zealand and Iran was worth $204 million in the year to September 2018. Under the threat of US sanctions, this promising (and at the time, expanding) market for New Zealand exporters is being snuffed out – so far, without even a whimper from the coalition government. So much for ‘free’ trade and sovereignty. New Zealand can only trade how and with whom, at Washington’s pleasure. The options now facing Iran are all extremely unpleasant. It can continue to be slowly strangled by US sanctions, while Europe wrings its hands ineffectually. Iran’s role in the Middle East is being wildly overstated by the hawks in Washington. Iran has some sway in Iraq and in parts of Syria, and it plays a very limited role within Yemen’s civil war but nothing like what Saudi Arabia and the UAE provide to their Yemeni allies. Far from destabilising the entire region, Iran has no clout at all in Saudi Arabia, Israel, the Gulf States, Egypt, Turkey, Algeria, Tunisia, Libya etc etc. Moreover, Iran’s military role in Syria – which was a crucial factor in the defeat of Islamic State – has become unpopular with the Iranian public back at home. There is no appetite for further foreign policy adventures. Yet now, as the supervillain of Washington’s imagination, Iran is coming under extreme pressure to “re-negotiate” the nuclear deal on terms that would amount to abject surrender of all aspects of its domestic and foreign policy. Back in 1988, Ayatollah Khomeini said that accepting the terms for settling Iran’s long war with Saddam Hussein was like “drinking a cup of poison.” It wasn’t a precise analogy back then, but it is now. Drinking the poison on offer by Washington would kill the country’s Revolution. In the long run though, more of the same is likely to lead to the same outcome. Jeffrey Campbell is a Jamaican DJ who operates under several guises… as Assassin, that was his atmospheric moodiness on Kanye West’s confrontational track “I’m In It” from Yeezus. Assassin also added extra weight and his own verses to Kendrick Lamar’s “The Blacker The Berry” track from To Pimp a Butterfly.